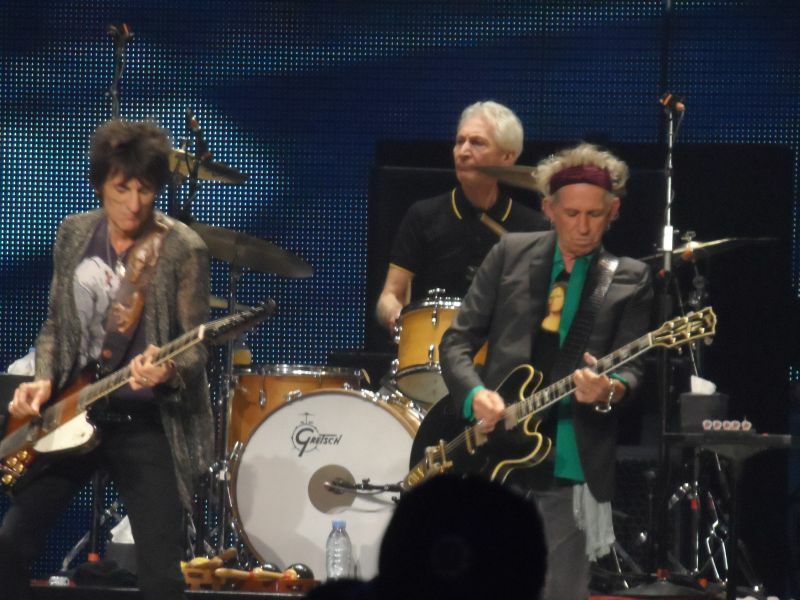 This was the best Rolling Stones show out of the ten I have seen in 2013. Everything seemed to be working from the start: the band was in a great mood, the crowd was ready, and the energy of each simply fed off of each other throughout the night. This great atmosphere created a relaxed, familiar, and intimate feel that I associate with all great Stones shows, whether they took place thirty years ago, ten years ago, or tonight. The crowd's contribution to the evening had nothing to do with Boston Strong (the city's inspired response to the hapless jihadist wannabe punks who ruined the marathon), or the Boston Bruins hockey team being in the NHL Stanley Cup Finals. Boston is just a great rock'n'roll town, and that quality rises above any transitory trials or sport successes the city experiences. The sound quality tonight was excellent, and far superior to that last week in Chicago's United Center. Ron Wood appeared to be especially good tonight. For all of the attention Mick Taylor and special guests have received on the tour, Wood has been even more out of the spotlight than is usual with his being the guitar player after Keith. However, his playing has been clean, crisp, and precise, building on the tremendous sound of his brilliant 2010 solo album, I Feel Like Playing. If you do not have that recording, you are missing some great music. Wood's lead on You Can't Always Get What You Want was one of the highlights of the night, and his chemistry with Mick Taylor has taken these 2013 shows to another level. 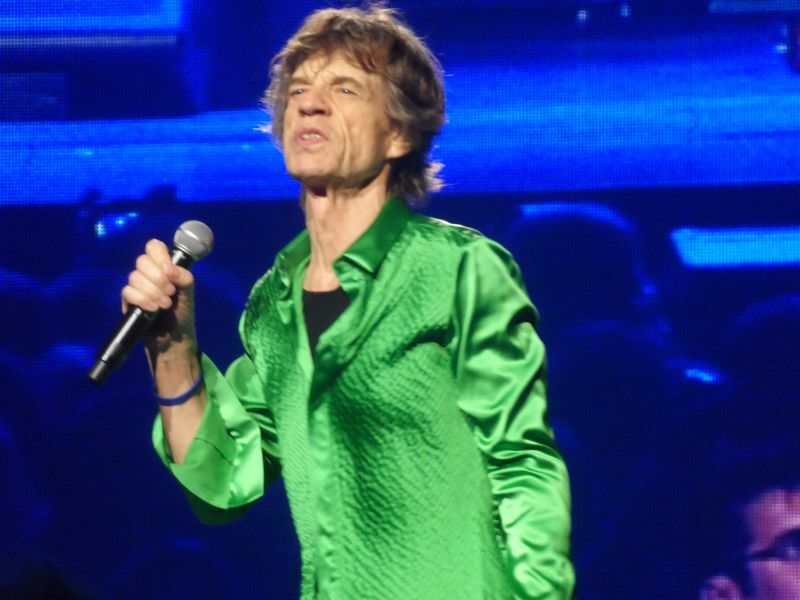 The absolute highlight of the night (and perhaps of the tour so far) was Beast of Burden. No disrespect to Katy Perry who guested on the song in Las Vegas the only other time it was performed this year, but it was such a pure Stones pleasure to see just the band fall into the unique blues/rock groove of this tune, guitars sounding loud and clear and Mick's vocals just about perfect. 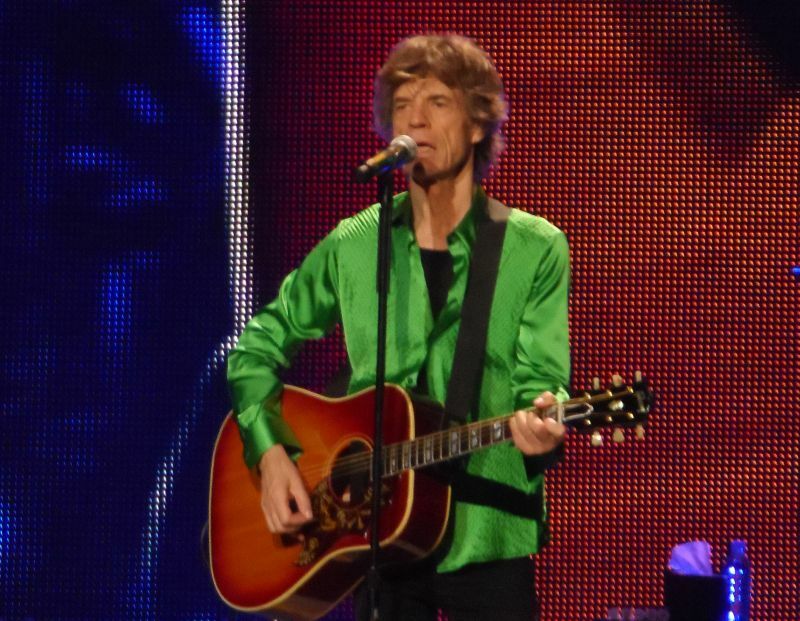 A Rolling Stones show does not get any better than tonight's Beast of Burden. 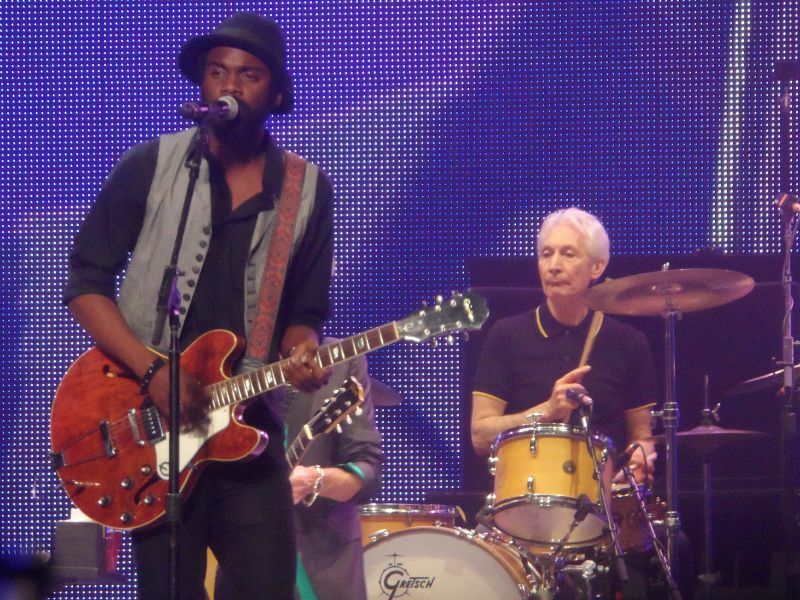 Gary Clark Jr. was tonight's guest, pulling even with John Mayer for most guest appearances in 2012/2013. 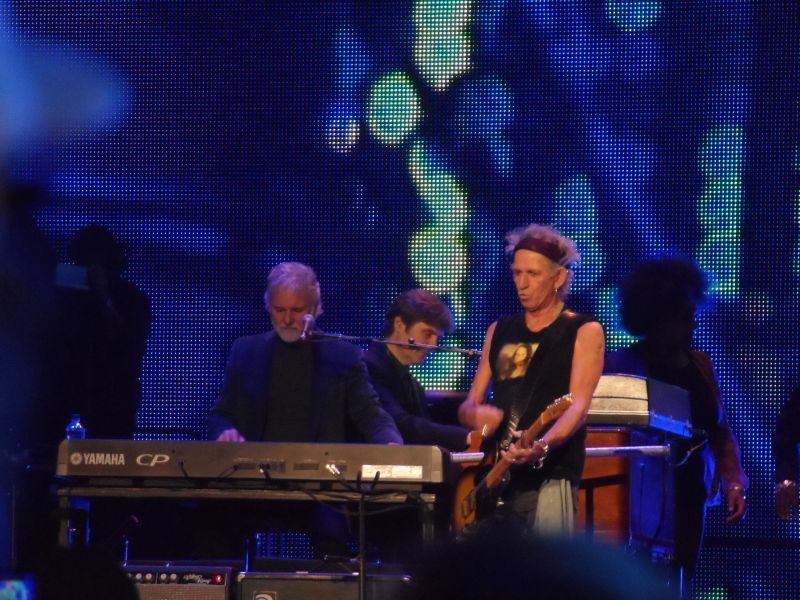 This was Clark's third appearance on the song Going Down (Mayer has appeared on a different song for each of his three spots), and he seemed more relaxed than during his prior performances. Jeff Beck's guest spot on this song last year is still my favorite, but Clark was at his best tonight, and that was a fine contribution to the magic of the evening. Midnight Rambler was especially powerful tonight, with Mick Jagger showing off his still underrated harmonica skills as he faced off with Mick Taylor. Jagger never seems to interact for any length of time with other band members, always moving on to something else. But for his harmonica part on Rambler, he and Taylor focus on each other so that they could be the only two in the room. That is intense. 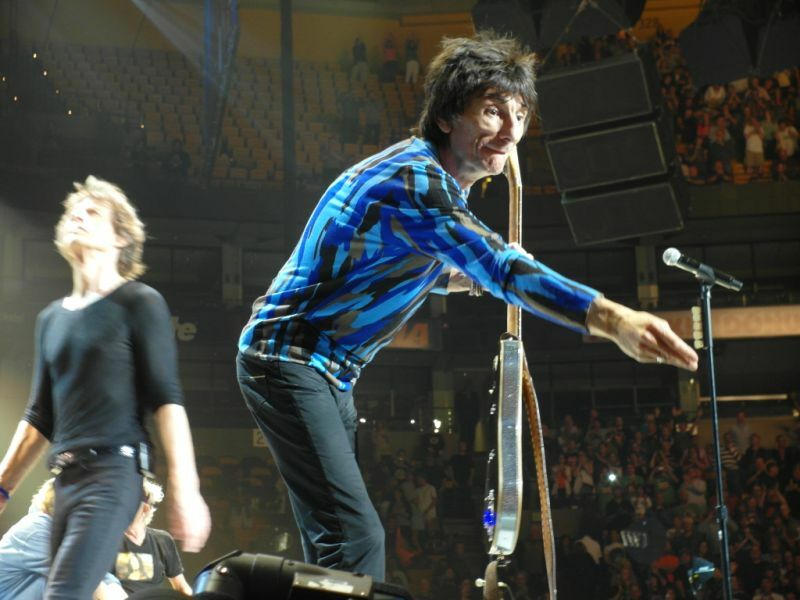 I was not mindful of an obvious high point in the song tonight until it came up, when Mick growled the line, "Well you heard about the Boston...". The Garden went crazy. While it was not especially hot in the room tonight, Keith played the latter part of the show in just a sleeveless t-shirt, foregoing his usual collared shirt. Again, it lent to the relaxed feel of the night. I would love to know the story behind Keith's t-shirt tonight: on it was a picture of the Mona Lisa, but instead of her face, Keith's face was photo shopped in. It was creepy and funny, all at the same time. You will not find that one at the merchandise stands! At one point Mick waved around a Boston Bruins jersey, similar to what he did with a Chicago Blackhawks (the team facing the Bruins in the Stanley Cup finals) jersey last week. I feared this point of the show, being a Blackhawks fan and thinking any tribute to the Bruins tonight would make Jagger seem like a hypocrite, or that he would be discredited by just telling fans anything they wanted to hear for the sake of pumping up the mood of the show. Instead Mick was tactful, referring to Chicago and saying, "We were there last week and the people were very nice to us" before he waved the Boston jersey. It was a good balance, exhibiting Mick's skills where being a master showman requires also being a politician, especially in these YouTube times. If tonight was this excellent, it is hard to imagine how Friday's upcoming show could be any better. This was the kind of night that makes one think that attending remaining shows will just not be enough, no matter how many one has planned. Also, for those who have not seen this edition of the band and have been hesitant, borrow money from your brother or put off those new tires for another six months. This is the finest entertainment available, and to remember the feeling of a show like tonight is an inspiration that will never leave you. This was an awesome show that deserves more than one review. The Maggott and I scored side stage seats loge 15 ist row with a rail. We had similar seats in Newark in december, but these were more in line with woody excellent seats. I could see into the pit and wasn't that envious of them. I loved the Newark show but looked forward to a show without so many special guests. The first four songs were so perfect that I kidded I was going home then. Maggott is a huge Paint it Black fan, so of course Mick AND Keith come right over and play it right in his face. Now, we went Friday also, on the other side of the stage, and they came to that side and played it for the mag again! That's part of the beauty of the Stones is that they pay so much attention to all sections of the crowd. I am a Keith worshipper, but I gotta say how much in awe of Mick we are. I would just look at him and say is he really that old? is he human?Woody was amazing, I think he outplays Mick Taylor, but what a thrtill to see them all together. The special guest was not that special to me. I rooted for Peter wolf or Joe Perry. I love Sway but it never is as great as the studio version, even with Mick Taylor. 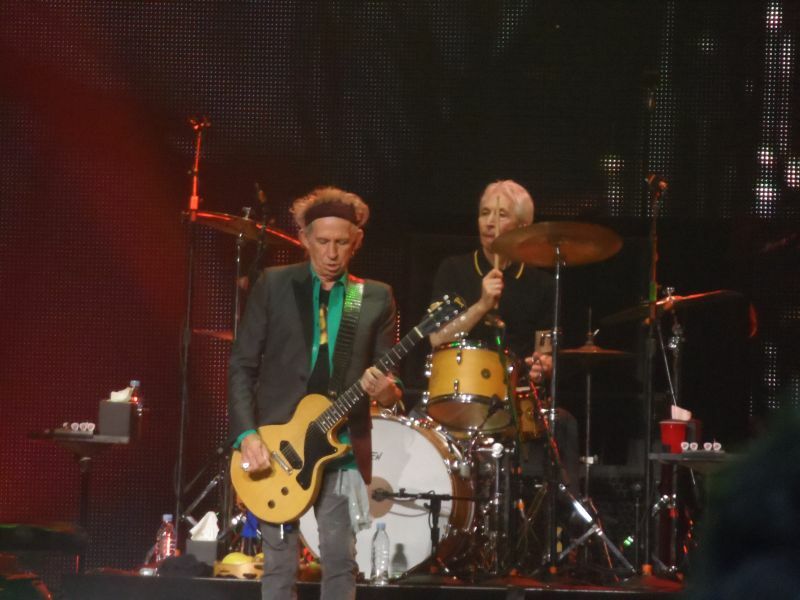 One of the highlights for me was Emotional Rescue, perfect version. Had never heard it live. I actually kind of like the new stuff. 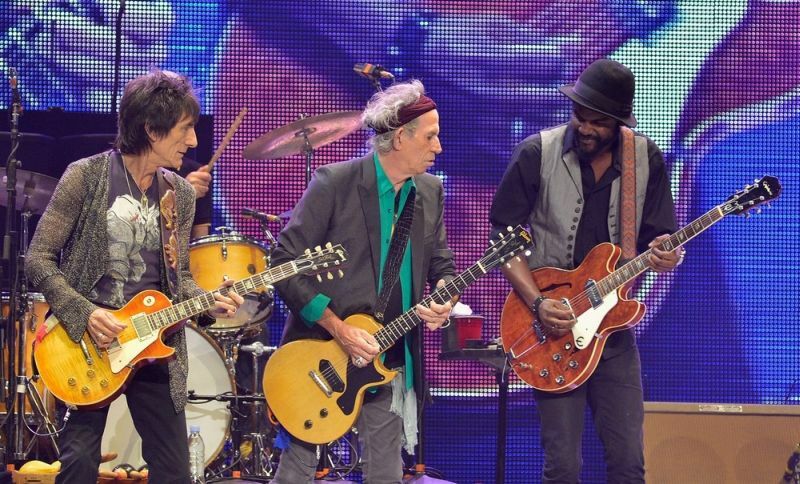 It is another chance to see Keith play guitar, and he seems to love it. The warhorses were excellent. These are the anthems of my life, and they are playing them to perfection. The sound in the arena is better than ever. It was not a great show for 70 yearolds, it was a great show for any ags. Thank you so much to the Stones and Bjornulf for providing this web site that has been so much a part of my life.